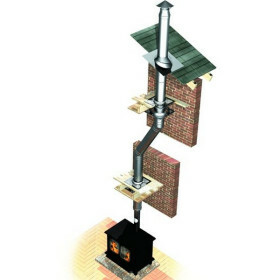 The multi-application flashing in a highly durable EPDM or silicone, edged with a flexible aluminium band, flashes hot or cold flues and pipes on metal roofs. 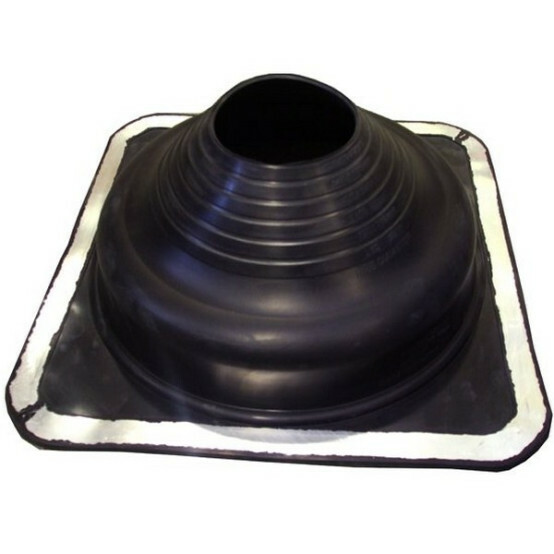 The square base fits any prepared hole on most roof profiles. For polycarbonate or glass use adhesive to adhere the Dektite to the roof and to fit a Dektite to a wood or fibre cement roof pre-drill holes in the Dektite and roof and secure with nuts and bolts spaced a maximum of 50mm apart. For tile and slate roofs use the Seldek Aluminium or Nu-Lead flashings.